UPDATED: Mon., June 18, 2018, 10:08 p.m.
A WSU official said Leach has the right to post whatever he wants on his own Twitter account, while distancing the university from the posts. The video, originally posted almost two years ago on a YouTube channel that describes itself as a collection of “American First and paleo-conservative populism channels,” erroneously claims it was a speech to the Bilderburger Group – a favorite whipping boy of those who believe in a one-world government conspiracy. In fact, Obama was speaking to a gathering of European Union leaders discussing youth. The video is also selectively edited to sound like Obama was saying something completely opposite of what he said in his full speech. 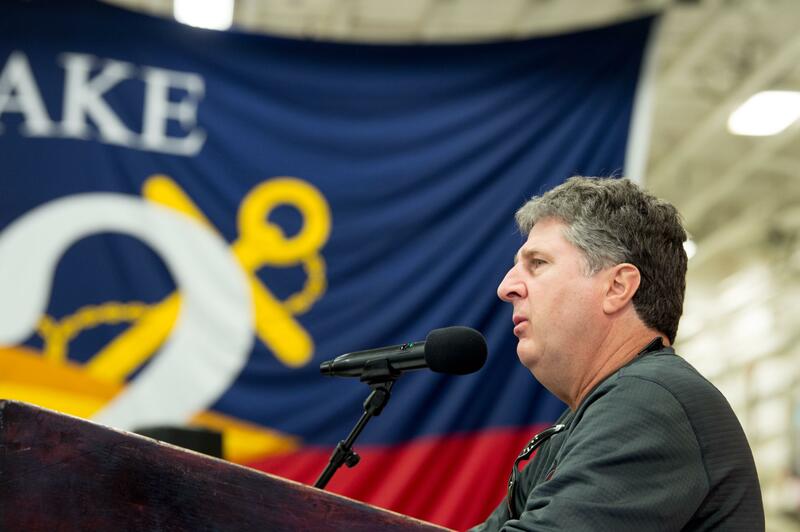 As the Cougar head football coach, Leach is scheduled to make $3.5 million this year, making him the second highest paid state employee, behind Husky head football coach Chris Peterson. Leach was a supporter of Donald Trump during the 2016 campaign, appearing with the candidate at a Spokane rally that May. In response to inquiries from local, regional and national news media, Phil Weiler, Washington State University vice president of marketing and communications, sought to distance the university from the comments. In a followup interview, Weiler described Leach’s ability to post whatever he wants on his own social media account as a basic American right. Asked if the tweets could pose a marketing problem for WSU, Weiler said the university has released its statement and has nothing more to say about the matter. Published: June 18, 2018, 12:46 p.m. Updated: June 18, 2018, 10:08 p.m.